You have a documented content strategy. Your content is mapped to personas and buyers’ journeys. You write great stuff, use images, share on social … but it’s still not ranking well in search engines. What gives? Sometimes even the most relevant, useful, and/or engaging content struggles to climb through search engine rankings. If your content happens to land on the second page of the SERPs, you’ve already lost the vast majority of your audience. Don’t let low search engine rankings throw you off course. Bring out your magnifying glass, throw on your checkered cape, and let’s investigate. When you are ready to get to work, scroll to the bottom and download a PDF checklist of everything you’re about to read—plus some extra tools—to help you knock out those content reviews. Before you take a good, hard look at your content, take the time to investigate whether a technical malfunction is behind your ranking problems. Great content supplies a demand. If you’re not touching on users’ pain points or answering their questions, you’re not likely to earn a top search ranking. You can use a keyword strategy checklist to lead you through the process of creating user-specific content. It’s also important to remember that user intent can change or evolve over time. Periodically revisiting search results for important keywords can help your content stay on target. When you did your initial keyword research six, nine, or even twelve months ago, there might have been much less competition on the SERP than there is today—especially if you’re in a growing industry or niche—so take another look. Does it cement the topic and grab the reader in the first paragraph? Does the content follow EAT (Expertise, Authority, Trustworthiness)? Does it answer the user’s question or need quickly and clearly? When answering these questions, it’s important to not only look at your existing content, but also the content of your competitors—especially those whose posts rank higher than yours in Google. Despite some black hat tactics of the past, backlinks are still one of Google’s top ranking factors. There’s just no denying that when other high-quality sites link to a piece of content … it’s probably good content. When your content isn’t ranking well, it might be time to inspect your backlinks. You can do this with a tool like Moz Campaigns, which allows you to see how many links there are to a piece of content, the number of referring domains, as well as the quality of the domains that are linking back to your content. On authoritative sites. .gov and .edu sites fit into this category, but so do many news sites or other domains that are generally recognized as leaders in their industries. On relevant sites. Links should come from pages and content that is relevant to your brand. Unique. A link from a good piece of content with only a handful of links is more valuable than a link from a piece of content that lists you and all of your competitors. In general, quality trumps quantity when it comes to backlinks. If the competition is earning backlinks from news organizations or influencers, for example, and all of your backlinks are coming from backwoods blogs, you may need to rethink your content strategy to help bolster your backlink appeal. There is one exception to the rule of quality over quantity, however, and that is when all the top-ranked organic results have links and you have zero. In that case you need one. Don’t go out and start buying links, but consider reaching out to smaller publishers if you haven’t been able to get anywhere with bigger content producers. It’s also possible that you have the wrong backlinks. Links from spammy sites will hurt your SEO efforts. A tool like Ahrefs can help monitor your backlink profile. If you notice an unwanted link, reach out the publisher and ask him/her to remove it. If that doesn’t work, you might want to get in touch with Google to disavow the link. Take a look at your SERP snippet. Would you click on it? Improving your click-through-rate by even 3% can move a page up one ranking. With “Top stories” further down the page, and “Searches related to” at the bottom, there are only nine organic search results on this page. The SERP for [file sharing], conversely, has almost no images or boxes, but it does have a full four ads at the top of the page and three at the bottom. There are still (as of this writing) 10 organic links on the page, but, when added to seven sponsored snippets and four “People also ask” accordions, those 10 snippets become less than half of the content on the page! Getting noticed on a crowded SERP means designing a snippet that speaks to the user and stands out on the page. 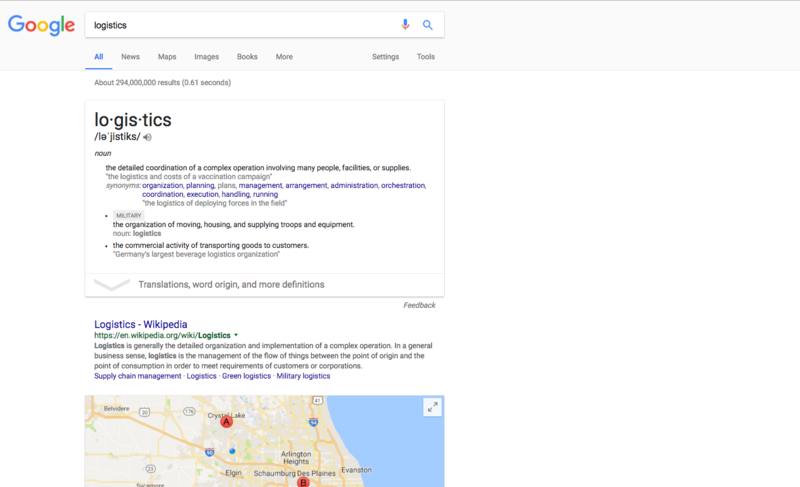 The best way to do this is to capture the featured snippet spot, but as you work toward that goal, craft a good SERP snippet in the meantime. Search engines like Google consider title tags one of the most important elements of on-page SEO, coming second only to page content. Include the keyword naturally and as close to the beginning of the title as possible. Be aware that Google will truncate the title after about 55 characters. Communicate the value to the user. Google your keyword and look at the titles that are ranking. If they are all listicles, you probably want a number in your title. If they’re all, “5 Good Ways,” maybe yours should be, “5 Completely Amazing Ways.” Give readers what they want, but stand out from the crowd at the same time. Meta descriptions are not ranking factors, which makes them essentially ad copy. You’re writing 100% to the user, so create a message that both engages and entices your targeted users. That’s not to say that keywords aren’t important (they are!). Similar to page titles, Google bolds keywords that match a user’s search query, which encourages clicks. Does the meta description address user intent? Have I included a call to action? Is the meta description between 150-160 characters? If you’re stuck, don’t be afraid to draw some inspiration from the meta descriptions that are ranking well, and identify patterns. Consider the PPC ads that appear on the SERPs too: marketers are more likely to be testing the titles and text for their paid ads, so steal what is working for them. When your content isn’t ranking, don’t give up hope. Use this opportunity to take a 360-degree view of your content—and identify ways to make your content even better. When technical issues can be ruled out, meet with your team to track down what makes your existing content great, and work to replicate the results for the rest of your editorial calendar. Soon enough, you’ll earn your footprints on Google and drive more traffic to your website. This article originally appeared in Propecta. This article was written by Nate Dame from Business2Community and was legally licensed through the NewsCred publisher network. Next articleWhy You Should Encourage Your Employees for Charity Work?